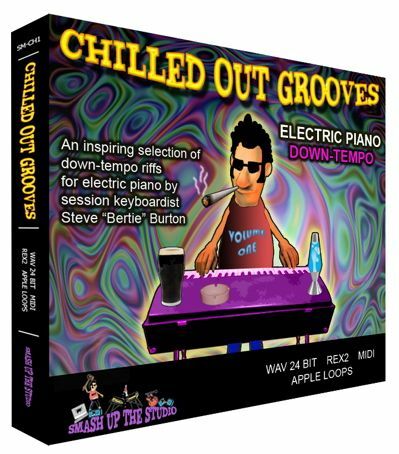 electric piano grooves, performed by top session keyboardist Steve "bertie" Burton. thru to icy cool chill-out club style riffs. MIDI files for each loop for complete versatility. and has covered many genres. From House, R&B and Pop, thru to Jazz. Justin Timberlake, to name but a few.